All of you sailors and boaters might enjoy knowing that the speed record for a boat under sail power is now greater than 100 km/h. This link provides further information and a video of the one nautical mile run. 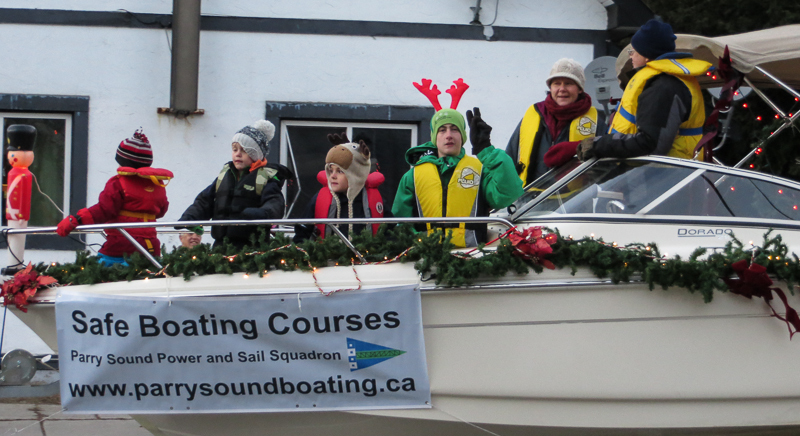 Please contact us if you are interested in participating in the Parry Sound Santa Claus Parade as part of the Parry Sound Power and Sail Squadron entry. 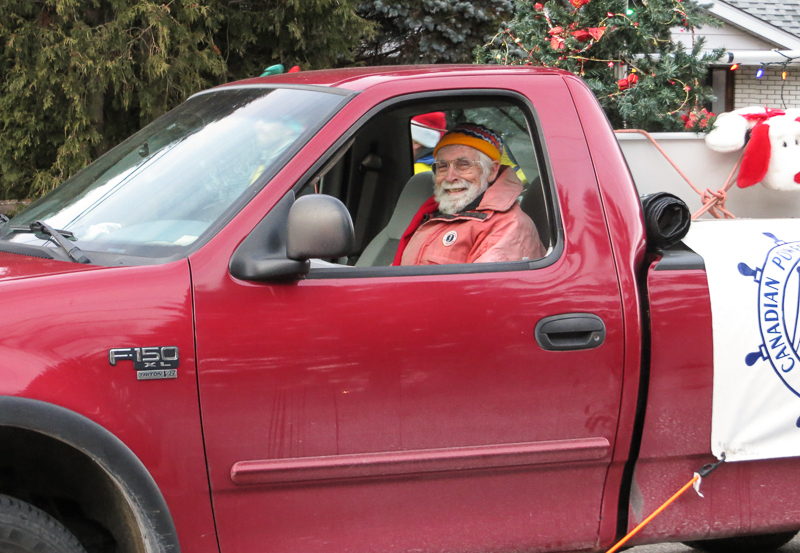 In partnership with Sail Parry Sound we will be towing a 21′ outboard with lights and music behind a pickup, with a small sail boat in the back of the pick up. We have room for a couple of more people on the boat, and unlimited room for people to walk along with the float. All that is required is two feet, a heartbeat, and a life jacket to be worn over your winter jacket. We are promoting boating safety and our in-town courses that start after the holidays. Give us a call at 705/774-9350 or 705/342-1315, or email communications@parrysoundsquadron.ca, if you are interested. 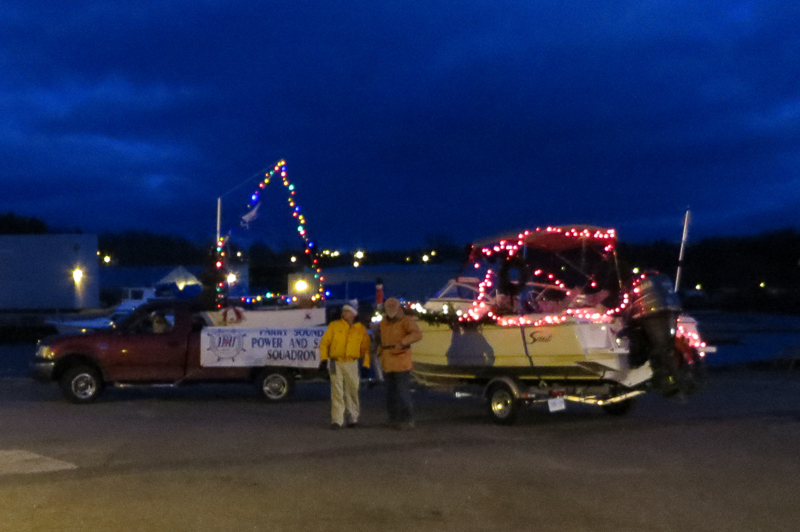 The Parry Sound Power and Sail Squadron, in partnership with Sail Parry Sound, will be entering a sail and power float into this year’s Parry Sound Santa Claus parade. We pretty much have the logistics worked out for what boats, what truck, what type of lights, etc. What we need is people to sit on the boat, preferably with a kid or two, all wearing life jackets over your winter clothes. It would also be great to have people to walk along with the float and hand out Power Squadron information flyers. Please let us know if you are interested in participating in any manner. You can reach us at communications@parrysoundsquadron.ca, or 774-9350. We can use all of the enthusiastic help we can get.